One of the most important SEO factor is backlinks. If you want to rank your keywords at top positions in search engines then backlinks from quality websites it must. Read the previous statement once again and carefully. I said quality websites which simply means that you must focus on from where you're getting link. If you're spamming or getting link from a website penalized by Google then it's not worth. There are some key points that you should always keep in mind. Don't just build nofollow links, Yes they are important but maintain the ratio and go for some dofollow backlinks too. Don't every try to paste a link over penalized website. A PR 4 dofollow backlink is much better than a PR 8 nofollow. Don't try to Spam your comments. Post the comment relevant to that article and always try to post something which is useful for readers. If you've bundled all the above four points then we can proceed ahead. So in this guide I am going to show you how you can get a PR 9 nofollow backlink from Wikipedia. Here we are going to use two methods to get a pr 9 backlink. However Wikipedia won't provide a dofollow backlink but still their links contain a huge amount of weight and authority. You can receive daily hundreds of targeted visitors. 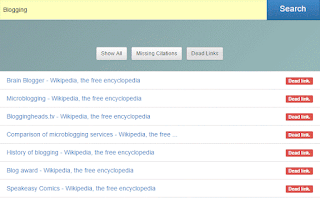 What Is Citation & Dead Link Replacements? You might don't know but anyone can edit information over Wikipedia and add pages to it. Due to this you can find hundreds of links that citation or reference. And of course there will be some links which become dead as the time passes. So we just need to find those links which are either dead or require reference. Then further we can replace them with our own site. For this I have got a 100% free tool for you. Follow the step by step process given below. Enter your blog topic and click over Search button. 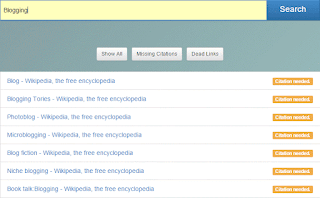 It will return the list of all pages which either need Citations or Dead Link Replacements. 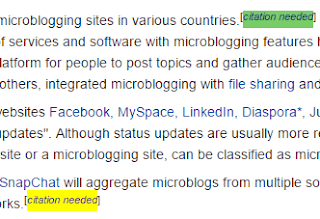 Click on Missing Citations to filter only those pages where Citation needed. Then click over Dead links to filer only those pages where some link are dead. Now consider a couple of things before going on Wikipedia. 1. First of all when you submit the edit, it will go through human moderation so keep this thing in your mind. 2. If you're going to link a website that has nothing to do with given article then moderators won't approve you. Now just create an account on Wikipedia. It's free of cost. Use the above mentioned tool to find broken links or that one needing update. Then choose the relevant and appropriate article from your site and copy its link. 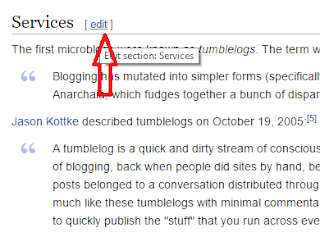 Click on the edit button on that Wikipedia page in which citation needed is mentioned (Use Ctrl+F and search for term mentioned in bold). See the example below in image. On the next page you can see an editor. Find relevant link URL and replace it with your own then just save the changes. Now sit back and wait for the approval. So this is it. For any doubt feel free to ask us.